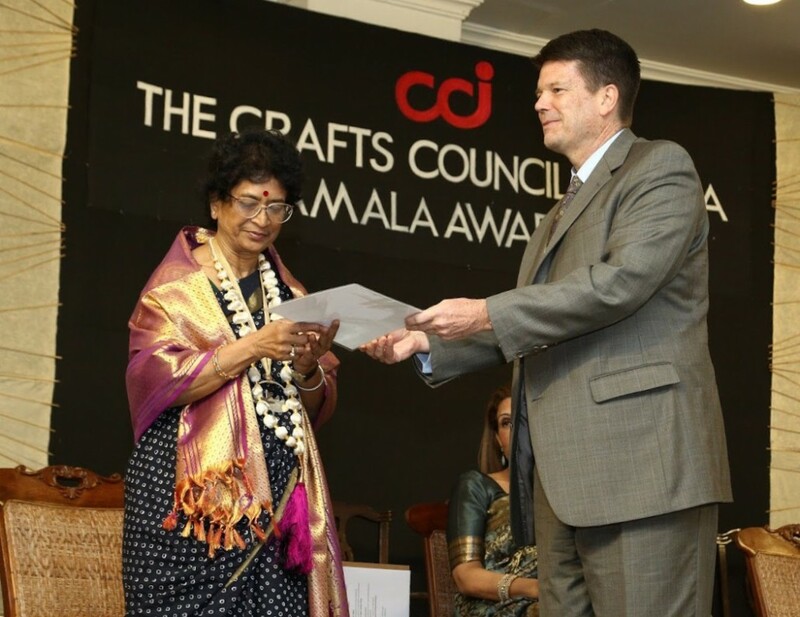 The Kamala Samman Award of The Crafts Council of India is the highest among the Kamala Awards. It recognises and honours a senior person whose long and dedicated work in the field has significantly benefitted craft communities and transformed their lives. Smt. 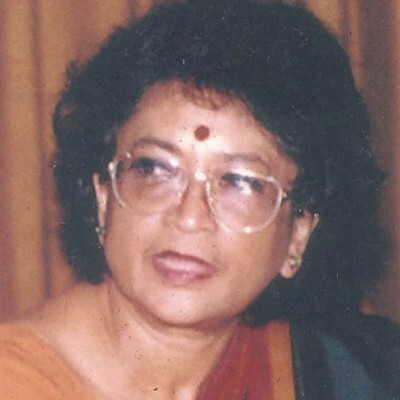 Kasturi Gupta Menon (IAS Retd) is the winner of the Kamala Award for the year 2018. Smt. Kasturi Gupta Menon is an illustrious member of the Indian Administrative Service. She has held some of the seniormost positions in the Service dealing with, and heading, portfolios as diverse as economics, archaeology, handicrafts and tourism. She is also the author of books on the Temples of Angkor Vat and Chola temples, Bimbiketa caves and other archaeological sites. This would be enough to qualify her as a modern day Renaissance person. However, she has other brilliant facets to her persona as well. Among them is her involvement with Handicrafts and Handlooms, both in her official capacity and today as a private citizen on a committed ongoing journey. Born in Calcutta into an Indian Civil Service (ICS) family, Smt. Menon did her graduation in English Literature from Calcutta University. She is also a fellow of Queen Elizabeth House, University of Oxford. Smt. 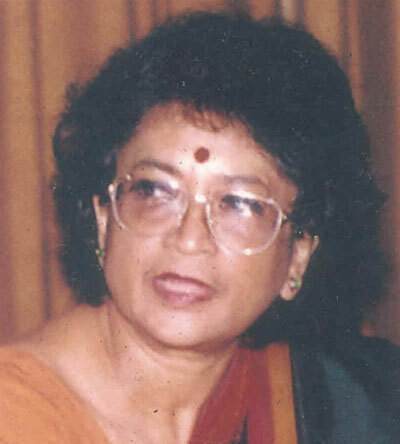 Kasturi Gupta Menon was Development Commissioner, Handicrafts, Ministry of Textiles (1987 – 1990) during which tenure she chaired a Task Force to formulate a National Policy of Handicrafts in the 8th Plan. As Development Commissioner of Handlooms she has revived programmes for handloom clusters of Odisha, West Bengal and Assam and initiated workshops on Natural Dye Techniques in traditional sectors. As Principal Advisor (July – December 2004) Smt. Menon was responsible for policy formulation of the Village and Small Enterprises Sector. 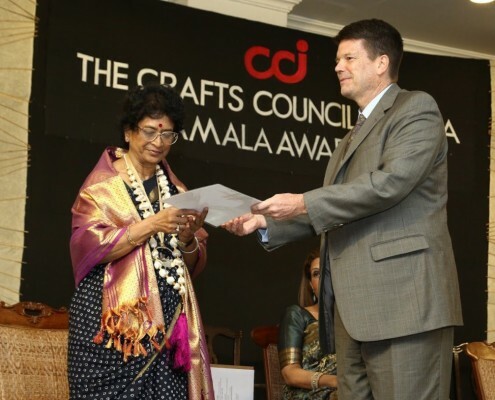 Today, as Honorary President of The Crafts Council of India, Member of Delhi Crafts Council and Chairperson of the Executive Committee of SASHA, Smt. Kasturi Gupta Menon continues her deep connect with India’s crafts and craftspersons, reaching out to them in remote craft pockets, not just as mentor and guide but also as practical advisor on design, marketing and more. The Crafts Council of India has great pleasure in honouring Smt. Kasturi Gupta Menon with the Kamala Samman for the year 2018.